however their purchase amounts can be used as Bonus Bucks to help off-set next months purchases. • 3 rear jets for maximum thrust. 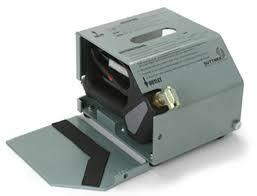 • 3 (90°) Side Jet Option for powerful wall coverage. 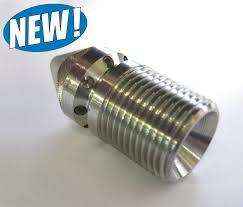 • Ideal for 1/2″ to 1″ diameter line. • Three rear jets for powerful thrust and cleaning impact. • Compact design is ideal for maneuvering through tight elbows. • Front port blast through roots, solid clogs, scale and Ice. 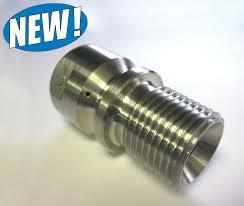 • Ideal for 1″ to 3″ diameter line. • Cone shape design is ideal for maneuvering through tight bends and traps. • 3 rear jets for a maximum thrust and cleaning impact. • Front jet for blasting through clogs. 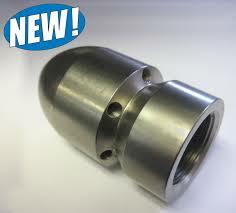 • Ideal for 2″ – 4″ lines. • 3 rear jets (30°) and 3 additional nozzles (45°) right behind the nose for better cleaning results and wall coverage. • 8 rear jets for extra thrust and highest wall coverage. • Designed for cleaning side wall debris and works well on roots. 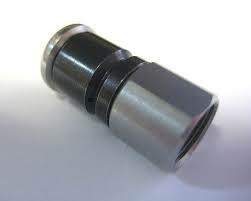 • Nozzle ports are recessed for damage protection. 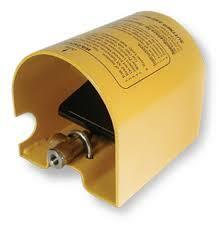 • 4 strong, concentrated forward jets for breaking through most any solid clog including ice. 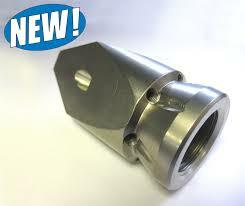 • Nozzle ports are stepped for protection against physical impact. • Compact design, ideal for tight elbows. 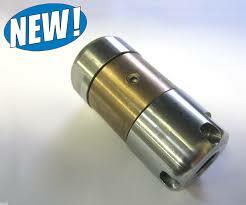 • Available with 3 or 6 rear jets. • Also available with or without front jet. 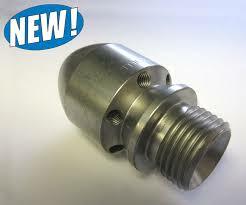 • Nozzles with forward ports blast through and break up clogs. • Rear ports thrust nozzle forward and flush debris. • 1/8″ ideal for 1″ – 3″ lines. 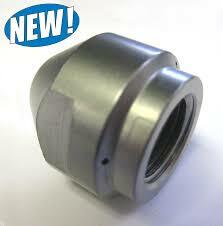 • 1/4″ ideal for 2″ – 4″ lines. 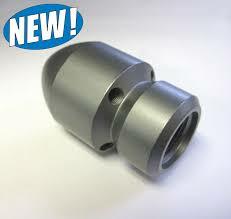 • 3/8″ ideal for 4″ – 8″ lines. 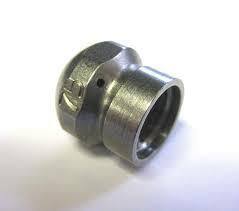 • Made of wear resistant hardened steel. • Available with or without front port. • All ports are hardened stainless steel inserts,precisely drilled for efficiency. 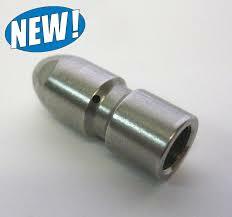 • 1/2″ ideal for 6″ – 12″ lines. 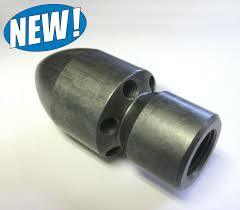 • 3/4″ ideal for 12″ – 20″ lines. • 1″ ideal for 20″ – 28″ lines. • All ports are hardened stainless steel inserts, precisely drilled for efficiency. •Ideal for removing sludge and silt, and blast through frozen clogs. • Hardened stainless steel body. • Cone shape design is ideal for maneuvering through tight bends and elbows. • For consumer and semi-professional use. • Extreme cone shape for cornering ability. • 8 rear jets for maximum thrust. • For standard cleaning and desilting applications. • Compact and heavy construction. • Conical head for tight bends and elbows. • 4 rear jets (30°). • 1 or zero front jet, 6 rear jets. • Brass and stainless construction. • Ideal for cleaning or flushing pipes. • Size stamped on nozzle. • Slower rotor speed for higher cleaning performance. 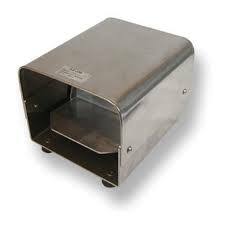 • Ideal for cleaning heat exchange tubes. • Excellent interior cleaning nozzle. • Stainless steel and brass construction. 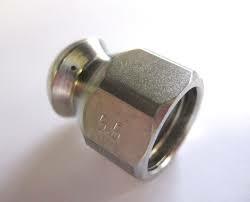 • Brass body with stainless steel male 1/4″ connections. • Excellent choice for flushing silt and debris from sewer mainlines. 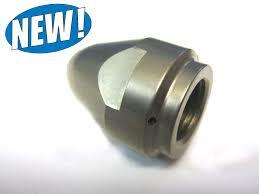 • Use with 2 rear facing fan jet meg nozzles. • Great choice for flushing sewer mainlines. 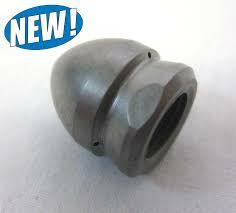 • Designed for connecting a Turbo Nozzle to a sewer cleaning hose. • Fine choice for cutting and flushing roots. 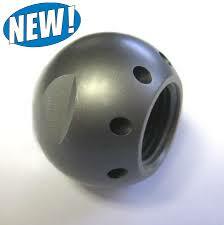 • Ideal for thrusting Turbo Nozzles into sewer lines for root cutting and forward sidewall blasting. Foot controlled valves allow both hands to be free to control the sewer hose pulling hose back and forth to flush pipes. • Inlet and outlet are positioned to help keep hose out of the way. • Heavy gauge steel construction for durability and stability. • Pedal and valve are in protective housing. • Pedal and valve are in a protective housing. with these jetting conversion valves. Super easy installation. With the ‘flip’ of the handle you will go from high pressure to a strong pulsation that moves the sewer jetting hose through the vessel. The average contract cleaner may not realize how easy it is to transform their equipment to do sewer jetting. There are companies that just do sewer jetting, and there is a market out there. Using your existing equipment, with the addition of a valve, hose, and nozzle, you have suddenly transformed you normal pressure washer into a sewer jetter. Work can be found through plumbers and town or city officials. Another area to examine for sewer jetting is agricultural processing plants. Jetting is one of those sidelines that a mobile wash company can try without much expense. It may take off for you, as with anything, you never know unless you try. A ball valve quick connected in line can be a time and effort saver. With truck or trailer mounted equipment, there are times when you have to work away from the pressure washer. By running standard pressure hose to the piping, and then quick connecting a ball valve before the sewer jetting hose, you will have remote on and off control. 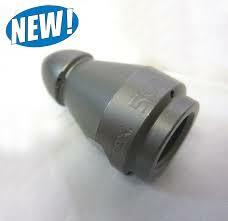 The most important modification is the addition of sewer jet hose and a sewer nozzle. The jetting hose is thin and lightweight. It has a hard smooth thermo plastic outer cover. Because it is thin, it can be sent through tight places, like around bends in pipe. The lightness of the hose and the slippery cover makes it easier for the jetting nozzle to pull it along behind it. This hose is available in several lengths, ranging from 50 to 250 feet. If a longer length is needed it can be custom made. 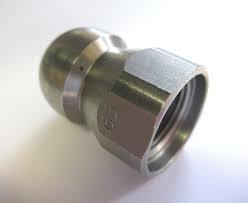 The use of one continuous length is recommended so there isn’t any possibility of losing hose inside the pipes and so couplers or fittings don’t impede the drawing action of the nozzle. The determining factors to consider are how long a hose you will need for your jobs. And that really depends on the type of jobs that you do. Keep in mind that the longer the hose the more restricted the water flow will become, and the less water flow at the hose end. In jetting the actual water flow isn’t as critical as it is for most surface washing activities, but it does still make a difference. 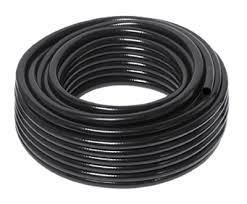 The most popular length hose, the one most companies purchase, is 150 feet. 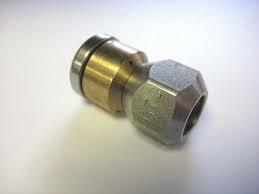 Note that the sewer jetting hose sold by EnviroSpec has a 1/8″ male pipe thread fitting and a 1/4 “ pipe thread fitting. 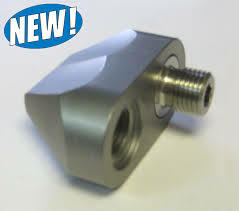 This allows an 1/8″ nozzle to be installed. 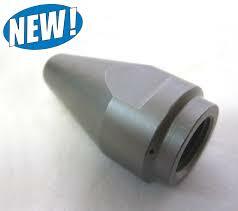 The smaller nozzle keeps the outer diameter to a minimum so it can navigate around tight corners better. 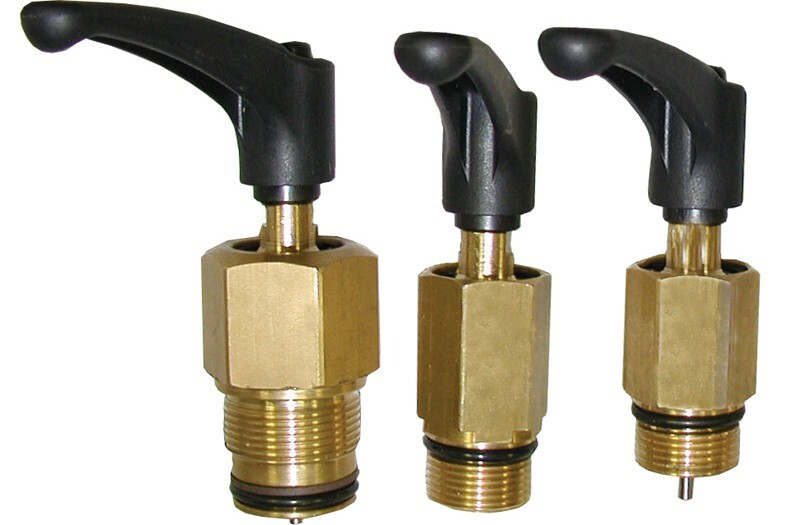 The hose end towards the pressure washer has to be plumbed up to the industry standard 3/8″. There are two types of sewer nozzles. The two types are fixed and rotating. Both are designed with orifices that point back from the nozzle at 45 degrees. The angle of these orifices provides self-propulsion as well as excellent cleaning action on the pipe interior. Because these nozzles have three, four, or five orifices, each hole is very small in order to maintain operating pressure. The holes are so small they can easily become blocked by small particles in the water stream. An in-line high-pressure filter installed on the ball valve end of the jetter hose helps to eliminate this problem. Some fixed nozzles also have a front facing orifice. Consider these when deicing pipes because they work best for that application. Otherwise the only consideration is whether to use rotating or fixed nozzles. Rotating sewer nozzles provide better surface coverage inside the pipe as they spin. One advantage to the fixed nozzle is that its outer diameter is a little smaller. Another thing to think about is that rotating nozzles, because they spin, wear out quicker that fixed nozzles. So the decision needs to be made as to whether the increased productivity provided by the rotating nozzle is worth the additional expense. Since jetting jobs vary a lot, it is only possible to give generalized information. It is usually a good idea to wear waterproof gear and rubber gloves. Insert the nozzle into the pipe at least far enough so that the nozzle spray will be contained inside prior to opening the ball valve. Once its operating, slowly feed the hose into the pipe as the nozzle progresses. The nozzle will usually pull the hose itself as it works through. Keep the hose straight and push slightly when the nozzle stops. 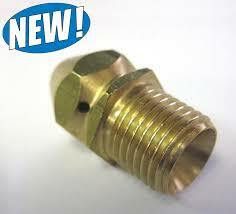 If the nozzle won’t go again with time and slight pressure exerted onto the hose, its time to try the jetter valve. Pushing hard on the hose usually just binds things up. Depending on what needs to be cleaned out of the pipe, heat can many times aid in the cleaning process. Degreaser can be used also, but don’t over do it. Remember to consider where the chemical goes after the pipe. If it ends up in a septic tank, an extreme amount of chemical isn’t a good idea. Chemical destined from a sewer processing plant isn’t usually a problem. If you don’t know what the local regulations are, check on them or forego chemical use. Because many jobs deal with sewage, cleaning hoses after the job is important. First wipe the hose as it is drawn out using a towel, then coil it and pressure wash it off. Wash off your rain gear and gloves also. Some times with clogged pipes waste will feed back into the area you are working in until the jetter nozzle breaks through an obstruction. This feed back needs to be contained somehow, either with pails or a wet vacuum. Of course if your standing in a disaster area already, a little more feed back may not really matter, you’ll know if your in that kind of situation. 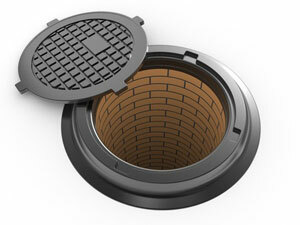 When you have run into clogged plumbing many times there are possibilities for basement cleaning, etc. 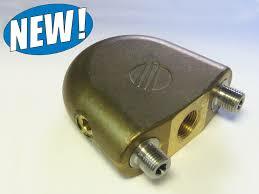 Many pump companies now have jetter valves available for installation on their pumps. The idea is that the pump will operate as a regular pressure washer pump until you turn the valve. 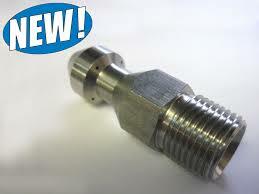 These valves are installed in the center inlet check valve port. When engaged the lever pushes the check valve closed so it doesn’t operate. The result is comparable to an engine that is not functioning on all cylinders; the pump’s output is irregular. This causes the jetter hose to jump. The jumping around action of the hose helps to get it through tight places and around corners. 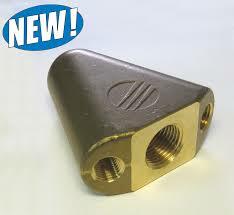 The jetter valve is used only when needed to get the hose through when the going is difficult. 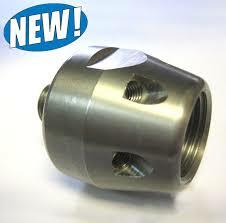 Remember that the jetter valve must be installed on the lower center check valve port on the pump manifold. These valves are not rated for high pressure. Remember, you will always find great articles in the Cleaner Times Magazine. Find out more.